Mac OS X 10.7 Lion is here. As we predicted, Apple's desktop operating system is going in the same direction as the iPad—and for good reason. Here is what is coming and why it's good for you. Mac OS X Lion is another step in the road to a new—or better said, renewed—computer interface paradigm: Modal computing. And along the way, Apple is taking some of the most successful parts of iOS, like the App Store—with automatic installation of applications—and the springboard (rechristened Launchpad in Lion). They are also introducing new user interface elements, like Mission Control, to help solve the problems that modal interfaces may bring. It also brings touch closer to the desktop, like the Magic Tracpad is paving the way in the hardware front. All the pieces are coming together. Fullscreen mode is, for me, the most important aspect of the new operating system. All apps will be able to have a Full Screen mode. That doesn't mean windows are disappearing (yet), but it is clearly a big step towards enabling full modal computing in the future—something that is also indicated by the interface in iLife'11. Not only does iLife'11 have stages that completely take over the screen to perform an specific function, but it also has rolled-in elements like context-aware inline palettes to change text styles. These elements are designed to avoid the need for floating palettes. 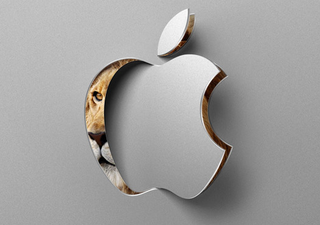 It's only logical to think that they will be included in the application developer arsenal for Mac OS X Lion. This user interface approach will greatly simplify the use of the computer, reducing the clutter of multiple open windows—which is why consumers and powerusers alike love tabbed browsing, which is basically the modal web. This gets users closer to the same user experience that 95% of the consumers out there like in their iPhone (or similar smartphones), iPod touch, and iPad. This doesn't mean that the computing experience will be less powerful than today. All the contrary, in fact. Apple is empowering users to more effectively tackle their tasks. In fact, if you look at high end professional apps—like Final Cut Pro—you will see the same behavior: The software takes over the whole screen to perform an specific task, with all its windows docked together forming a single user interface surface. I've no doubt that windows will eventually be completely replaced, even for applications like Photoshop. Modal computing can bring some problems, however. You need to give the user an effective way to switch effectively between tasks, fast and without confusion. From the demo today, Apple may have found an elegant solution. Mission Control—to manage both modal apps and multiple windows apps—combined with touch gestures. The good: Simplify the computing experience, center it around the task at hand, which is what the user is interested on. Reduce the clutter of multiple open windows. Pave the way to full touch computing. The bad: None that I can see. It seems that Apple is taking steps to avoid the potential problems that full screen computing may bring. Mission Control is actually a new Exposé, integrating the Dock, Dashboard and views from all open apps, both windowed and full screen. From the demo, it looks very straightforward and clear. It will be crucial to handle this new setup in which the user will be managing three types of applications—widgets, multiple-windows applications and full screen apps—simultaneously. As more applications migrate to the full screen model—actually becoming spaces on their own—I can see Mission Control simplifying even further, and going back to its Exposé roots. The good: It seems to be a good, simple solution to handle the mess into which multiple-windows, multiple-application-type systems can devolve. The bad: Users may not get to tap into its powers (ironically, Exposé is considered a poweruser tool). Apple still needs to educate users better about Exposé/Mission Control, and turn it on by default. Launchpad works exactly like on the iPad. It shows all the applications installed in your computer, which are managed by the App Store, with multiple pages to navigate using the swipe gesture and folders. I can see a lot of advantages in this approach. Like modal computing, it focuses the computing experience around the task itself, not around a system designed to manage the complexity of a file system. But it also opens a question: Is the Finder disappearing from Mac OS X? Are files going to be relegated to file dialog boxes? At this point in the game, that would be madness, which is why you are seeing the Finder icon right there in the dock. Most probably, the Finder will stay with us for a little longer. But eventually, it will disappear, moving all file management to databases in which applications can plug, to share data—images, music, text, PDF documents, whatever goes. A universal soup of information, much like the one that Newton used. In fact, if Spotlight worked a little bit faster and a little bit better, you could eliminate folders entirely. I don't know about you, but I have no time to handle the thousands of files of all kinds that I produce every month. The good: Simplification, the tools to complete the tasks always at hand. The bad: Some powerusers with OCD may miss the ability to make complex folder trees to organize their apps into categories, subcategories, sub-subcategories, etc. The Mac App Store works exactly like the iOS App Store. Same main navigation bar and same managing, which is to say: No managing at all. When you buy an app through the store, your Mac will automatically install that app in the Launchpad. Even better, it will centralize all updates for all apps, in the same way the iOS App Store does. This may seem silly for power users, but if you have ever dealt with normal computer users, installing and maintaining apps is a nightmare even with the Mac drag and drop system. Some download disk images from the web, and drag the app to the dock, then keeping the image open forever or ejecting it. Others keep a dozen copies of an app in the download folder. And still others combine both for exquisitely painful disk mayhem. With the Mac App Store, normal consumers—which now are the majority of Apple users, according to Tim Cook's comments on market growth—will see their lives simplified. And hopefully, developers will find a new and more effective storefront for their apps, even if that means paying 30% to Apple for serving as the distributor. There are many questions here: Will Apple make every developer go through the Mac App Store? If so, I can't wait to see Adobe's reaction. If not, the new App Store may not be the success Apple is probably expecting. And if they make the Mac App Store the only way to distribute apps on the Mac—which probably will be the case if Launchpad is tied to the store, like it seems to be—would they also censor these apps if they contain adult material or any other thing—like a Torrent client—that Apple considers problematic? The good: The easiest way to install and keep applications up to date. Good storefront for developers. The bad: If it's obligatory for all developers, it opens the way to a tighter control of the Mac platform and censorship. Apple gets a cut. Some developers may bark at this, but then again, they had a good experience in iOS. Clerks, designers, engineers, economists, illustrators, architects, gamers, photographers, journalists, film makers, teachers, students, or musicians... for those people, everyone in the planet except a very few, the file structures and the windowed user interface are imposed by paradigms that have long been obsolete, crumbling conventions that have been growing in complexity through the years. The little we saw today is not complete and it's not perfect, but it's another step in the right direction. A future of simpler machines and possibilities, to paraphrase Salvador Dalí. Which is why I can't wait for Mac OS X Lion to arrive.